When the Pevensie children are sent out of London during World War II, they have no idea the fantastic journey they are beginning. 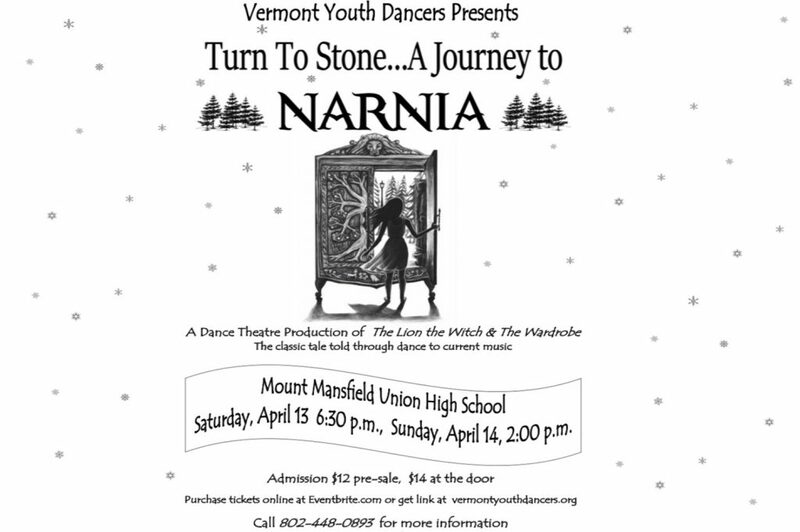 What starts as a simple game, quickly turns into the adventure of a lifetime as they walk through a wardrobe into the magical land of Narnia. There they find a land full of mystical creatures, frozen into eternal winter by an evil White Witch. The children can only hope that with the return of the Great Lion, Aslan they can help restore beauty and peace to the land. Will they find their courage and overcome all odds and the evil Witch? VYD lights up this classic story onstage with captivating lyrical and hard-hitting hip hop choreography to current music, which itself tells the story. This unique full-length show utilizes imaginative set, beautiful costumes, acting and dance to take the audience on a magical ride. Do not miss this event! !